In terms of total production worker hours, annual payroll and total value of shipments, New Jersey’s contribution to manufacturing in the United States is certainly not as substantial as other states like Michigan, Ohio or California. 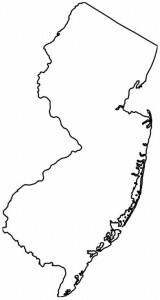 In 2009, the value of all shipped manufactured products from New Jersey was just under $97 billion, according to the US Census Bureau’s Annual Survey of Manufacturers. This places the state at 16th in the nation. 16th is not 1st or 5th or 10th, but neither is it 17th or 19th or 30th or 50th. A state like New Jersey stands to benefit more from increased demand for American manufactured products than do states with less developed manufacturing infrastructure. On the other hand, it doesn’t stand to loose as much during busts than do states that rely more heavily on manufacturing. It seems like New Jersey would be in a pretty comfortable position. That’s kind of true. Since a high point in 1990, manufacturing in New Jersey, as expressed by total yearly wages, has declined steadily. However, before they crashed during the financial crisis, between 1994 and 2007 New Jersey’s total non-farm wage figures rose in spite of the decline of the contribution of manufacturing wages. This is due in part to New Jersey’s blossoming education and health services industries, whose wage figures actually posted gains even during the height of the financial crisis. We can learn from looking at the nuances of New Jersey’s economy and how its different elements contribute to its performance as a whole. In states where manufacturing is a foundational economic presence, more energy has to be expended at retooling industry to make it more relevant and competitive. In New Jersey, where manufacturing could be considered important but not necessarily foundational, the task of understanding and appropriately shaping manufacturing’s economic contribution involves its relationship with other economic sectors to a greater extent. Remember that burgeoning education and health services industry? Perhaps New Jersey could position its industrial infrastructure to develop new innovations in medical devices. To some extent this is already happening; one of the country’s largest players in the healthcare industry, Merck, is headquartered and does extensive business in New Jersey. In addition to such innovations and partnerships, New Jersey’s manufacturing sector will continue contributing many of the less glamorous industrial products to which Americans have become accustomed. The industrial mixer used to combine ingredients in advance of road construction near your home could have come from ARDE Barinco in Carlstadt. The plastic pallets your grocery store uses to ship products could have come from PDQ Plastics in Bayonne. The screws holding together your deck could have been supplied by Ford Fasteners in Hackensack. These types of products are industry’s contribution to our economy but also to the concept we have of our country. This isn’t a political platitude; Americans have come to expect to see development all around them to the point where they consider it to be a given. American industry, including New Jersey’s manufacturers, is responsible for that development. How exactly each individual state will continue contributing is not completely clear, but in the case of New Jersey, given its nature and the history of its contribution to the strength of American industry, it’s a fair bet that it will continue contributing in very meaningful ways.